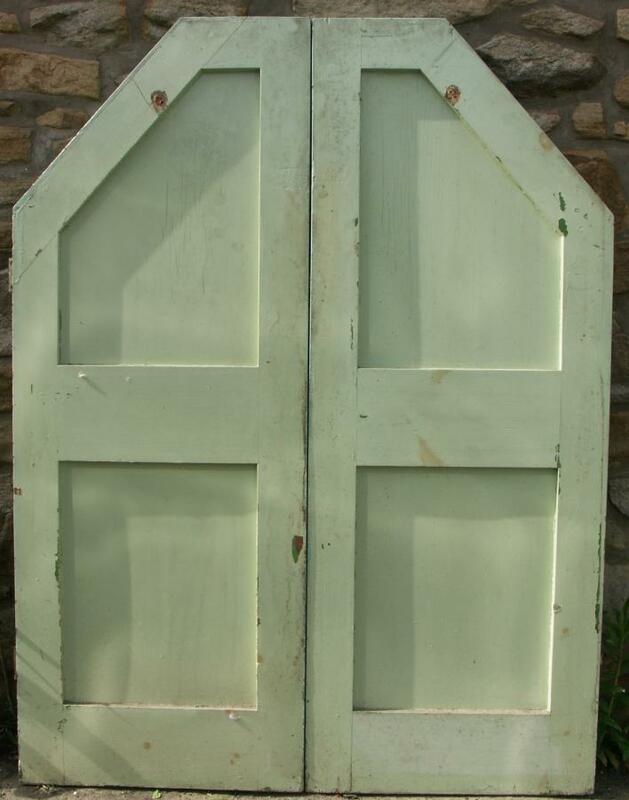 A good set of 11 pairs of unusual cupboard doors from a Lancashire mental hospital dormitory dated 1902.The doors were part of fitted cupboards beside every bed and wre slanted to fit the sloping roof.I reclaimed these some years ago.They are all solid pine and have original paint. 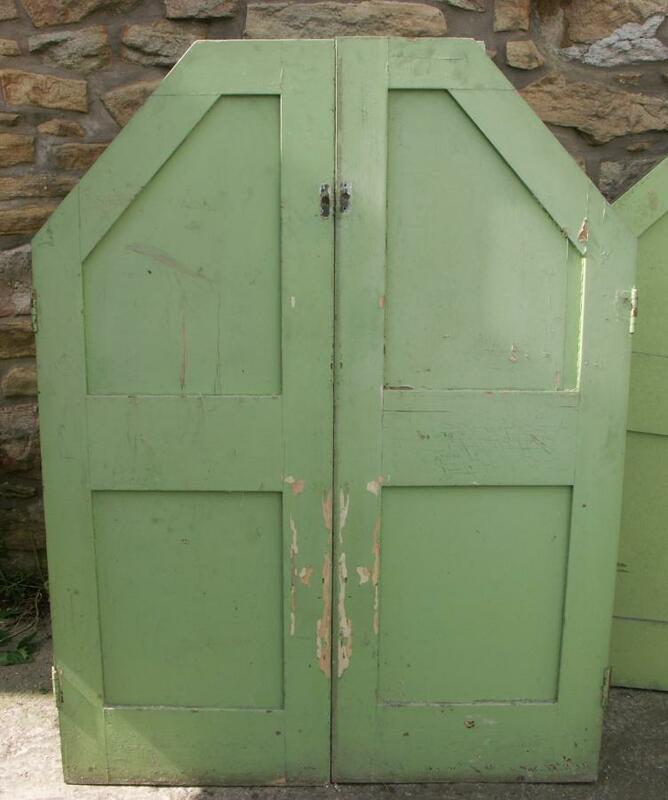 I have another 30 or so of these doors i haven't measured yet but they are similar.This set will fit together as pairs and would make lovely cupboards either stand alone or fitted.They would work well in a kitchen. It would be a shame to cut them down but they could be cut down to a size approx 32" by 21.75". Dimensions:they stand 56.5 to 56.75 high(shorter side below slant is 43.25 to 43.5 high) by 21.75 at base and 9.5 at top, they are 1.5 thick,the mid rail is 7.25 high (and fits to the sides with double mortice and tenons) More pictures/closeups available on request. 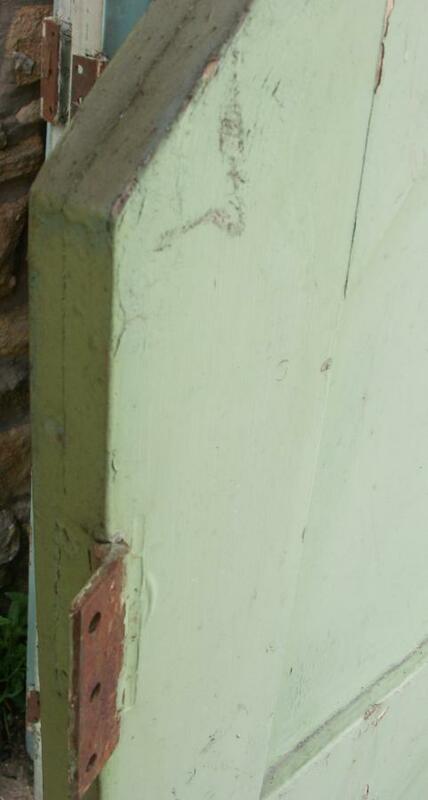 They have cast iron hinges. 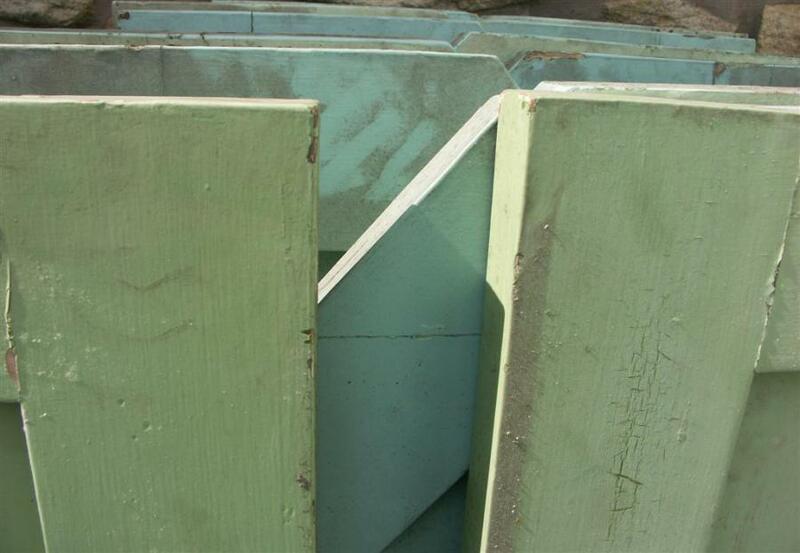 I have quite a lot of antique / victorian cupboard doors. I will try and catalogue and place on the website in the coming weeks.Please don't hesitate to ask if you are looking.